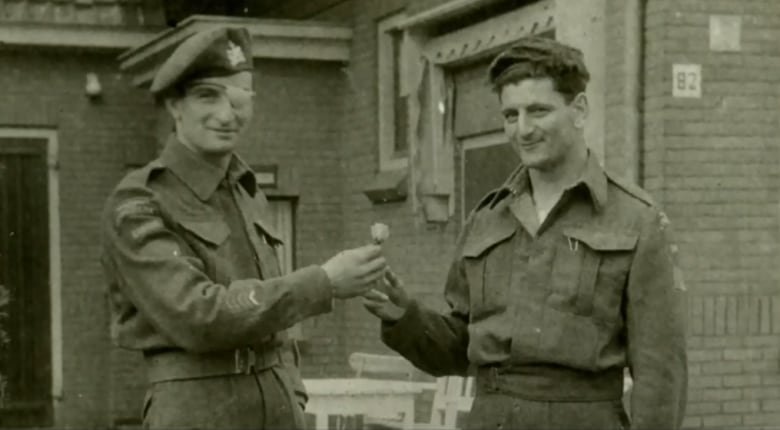 On the evening of April 14, 1945, Canadian soldier Léo Major single-handedly liberated the Dutch town of Zwolle from the Nazis, in a story that's almost too incredible to be true. 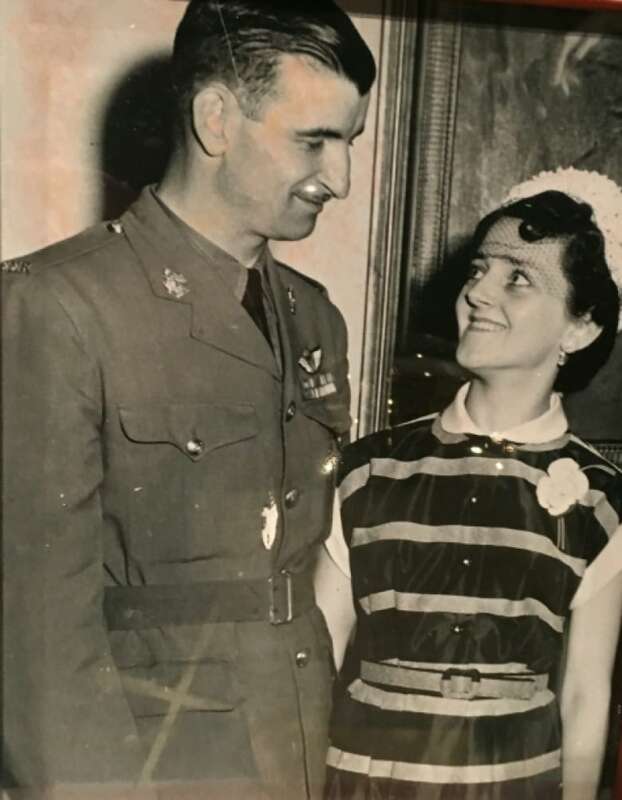 The late Major is the only Canadian ever to receive a Distinguished Conduct Medal in two separate wars – for service in the Second World War and Korea – but his heroic actions didn't inspire any parades or effigies back home. 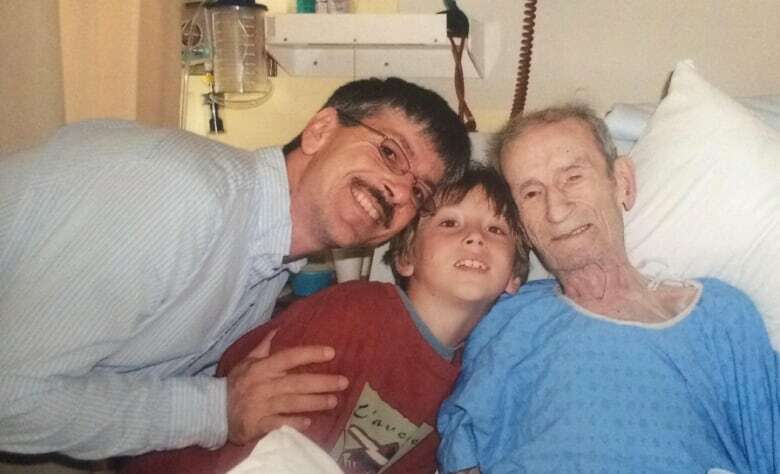 Major's own son, Daniel-Aimé Major, didn't have a clue what his father had done until an official from the Netherlands arrived on the family's doorstep 30 years later, bearing words of gratitude. Daniel-Aimé was nine at the time, and remembered his mother asking his father why he never mentioned the incident. His father replied that Major didn't think anyone would believe him, and left it at that. "It's almost nonsense," Daniel-Aimé said with a laugh, when asked about his father's feats of bravery recently on CBC Montreal's Daybreak. "He said, 'I was crazy, and everything turned out good!'" By the time he got to Zwolle, Major was already scarred by war. 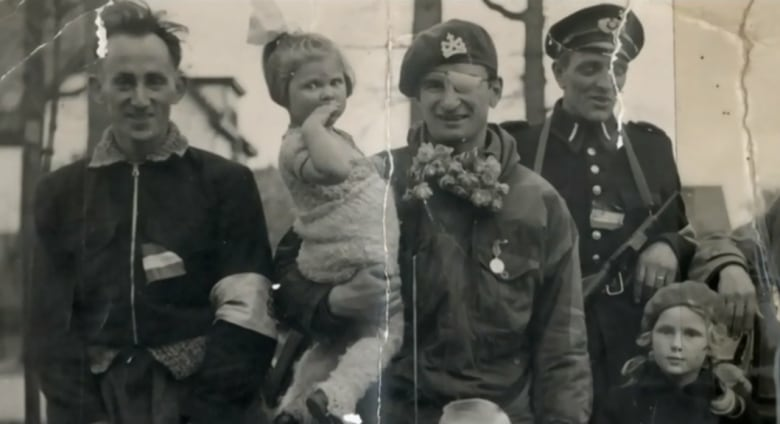 He only had one good eye following a close call with a phosphorous grenade, and he sported an eye patch for the rest of the war, refusing to be taken out of the fight and sent home. As his son tells it, when officials told him that his part in the war was over, he replied: "'No, it's not over. I'm a sniper. I only need one eye.'" 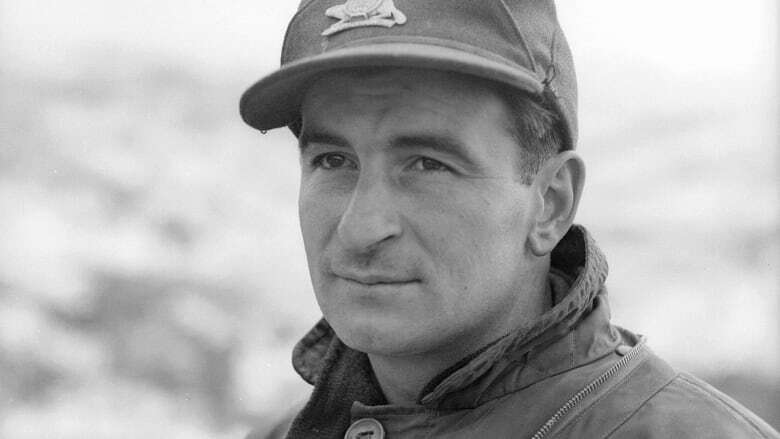 On that fateful day in April 1945, Major, a private at the time, volunteered to sneak into the town under the cover of darkness and reconnoitre, accompanied by his friend in the forces, Cpl. Willy Arsenault. Arsenault was killed early on in the mission, and in his grief and rage, Major decided to do something unthinkable. He took his comrade's firearms and munitions and charged the city, alone. His exploits are in a new documentary that aired last month on Radio-Canada. Zwolle, located about 100 kilometres east of Amsterdam, was then a town of 50,000, but it didn't take Major long to locate a German soldier and disarm him. He spoke to the soldier in French, employing a risky gambit that ultimately paid off. Major managed to convince the German soldier that the town was surrounded by Canadian troops, and that if the Germans left right away, they would be spared. He let the Nazi soldier go to relay the message and gave him back his gun as a sign of good faith. Fearing his bluff would not stick, Major started to run through the streets of Zwolle firing his machine gun and setting off grenades. As if this wasn't enough, Major located the Gestapo headquarters and set the building on fire. He also took dozens of German prisoners, with the help of some local resistance fighters. "It's such a crazy story, it's almost surreal," said Daniel-Aimé. It's a story that his father never spoke of, until the messages of gratitude from the Dutch town began to pour in. 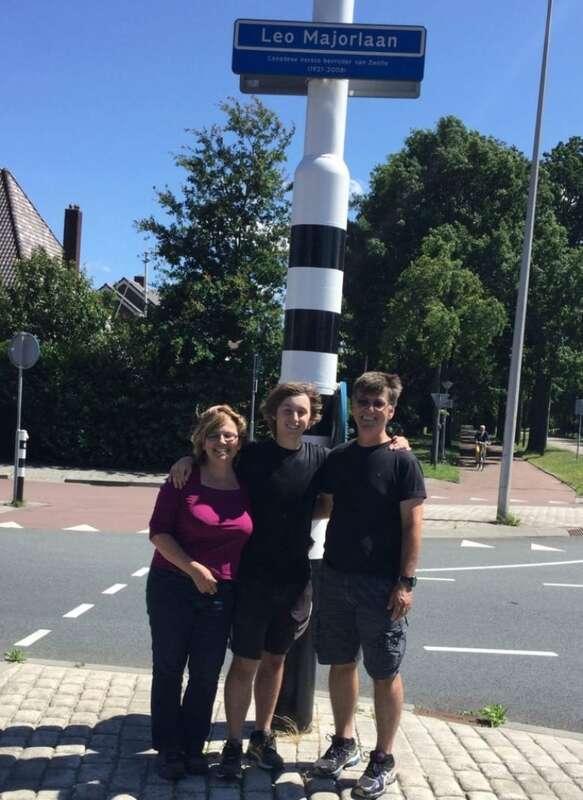 The family discovered that there was, and still is, a street named for Major in Zwolle, and when he passed away several years ago, Dutch nationals made the trip across the ocean to attend the service. "It was really strange for me to see that," Daniel-Aimé said on Daybreak. "There were citizens from the Netherlands, and there was a general from the Netherlands and the mayor [of Zwolle] was there too." The gestures to honour Major don't end there. In the documentary, Henk Jan Meijer, the mayor of Zwolle, said the liberation story is still taught in schools in the area. "For us as a city, it's very important that our children still remember that it's not easy to be free. That it's vulnerable. That you always have to think about that," he said. "The most important lessons are when veterans come into the school, and they tell their story." The mayor said that Major visited several times after the war, and became very popular with locals. "He was the first Canadian who walked through the streets of Zwolle," said Jan Meijer. "We honour Léo Major. He is a symbol of our freedom." He said there's even a monument to Major's fallen comrade, Willy Arsenault. One place where Major's name was never quite forgotten is inside the Musée Régiment de la Chaudière in Lévis. The museum's director, Éric Marmen, referred to Major as the "Rambo of Quebec," saying that the story is so wild that it could almost be dismissed as an exaggerated version of events. "But then we realize that the information checks out," he said in the documentary. A number of historians and archivists have researched the events that took place that April night, 73 years ago. The story of Léo Major is gaining recognition in Quebec, and abroad. 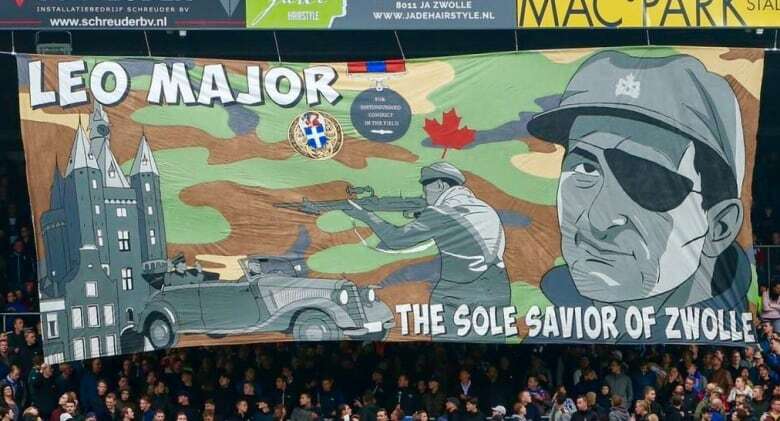 At a recent football game in the Netherlands, fans unveiled a banner featuring Canadian soldier Léo Major, declaring him the "sole saviour of Zwolle." Dennis Akkermann, a member of the Zwolle football team's fan club, told CBC News that they often make banners in support of their team and their city. "The banner of Léo Major, of course, is also a part of that," he said. "We [wanted to] make a banner to honour him for what he has done for our city." Akkermann hopes that Major's family understands that "even the younger people in Zwolle are very grateful for what he was done for our city."